CASCO — After two failed attempts in previous years, SAD 61 is once again looking for voter approval to revamp and reopen Crooked River Elementary School to students. Superintendent Al Smith said the district plans to put a bond proposal before Bridgton, Casco and Naples voters this November. 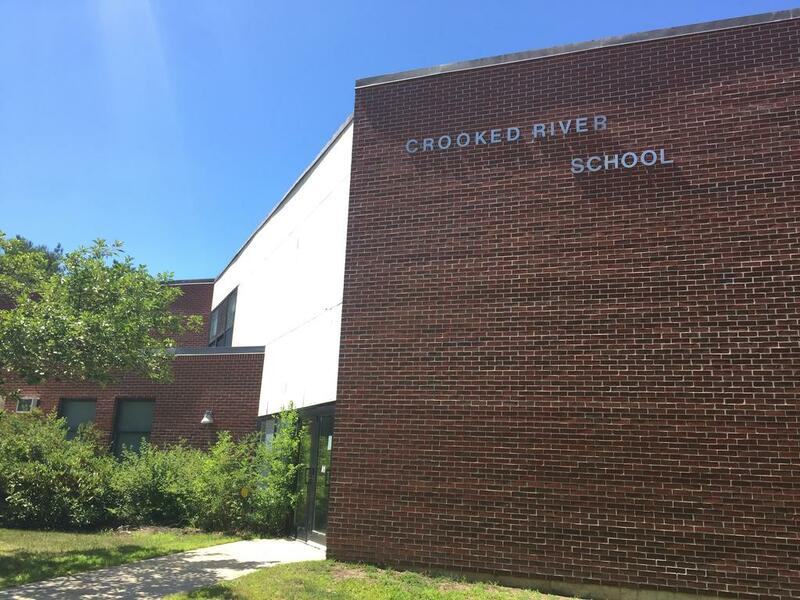 Casco and Naples residents, along with the School Board, voted in 2009 to close the Crooked River School on Route 11 in Casco, and the building is used as the district’s special services office. The proposed project to reopen the school is aimed at alleviating overcrowding at the Songo Locks elementary school in Naples, which Smith said was built for around 360 students but has an enrollment closer to 440. Smith said that the cost of the pending bond proposal has not yet been determined, but that it “is definitely going to be more expensive” than the previous $7.8 bond effort though he doesn’t expect the plan to be drastically different. The first failed bond proposal was $9.6 million in 2015. Smith cited a strong economy and the ripple effect of new tariffs being implemented by and against the United States as reasons for the expected increase. Smith said a reopened Crooked River Elementary School would be for students in grades 3-5 almost entirely from Casco and Naples. Changes to the building would include additional classroom space, rehabilitation to the interior and updates to the exterior. Making upgrades to the Songo Locks school as an alternative to reopening Crooked River was “deemed impractical” and expensive, Smith said. He cited the difficulties and safety concerns involved in doing major construction work in an open school. Smith hoped to have an informational brochure about the Crooked River project ready for voters by the end of August, along with a schedule of informational meetings. He said the district can improve on how it shared information during the previous Crooked River bond efforts. “I hope we can do a better job of getting the accurate information out there,” he said. One major difference within the district since the last bond push is that the town of Sebago is no longer part of SAD 61. Sebago voters decided last November to leave the district and form their own school administrative unit, driven in part by a fear that SAD 61 might close Sebago Elementary School if the Crooked River project were to move forward. In 2016 Sebago voters overwhelmingly opposed the Crooked River bond 423-33. Sebago’s withdrawal from SAD 61 became official earlier this summer. Smith hopes the bond proposal “has kind of a fresh look” with the district’s new makeup. He noted the large amount of development taking place in the region and thinks the district needs to keep pace with that growth. Matt Junker can be reached at 781-3661 ext. 123 or mjunker@keepmecurrent.com. Follow him on Twitter: @MattJunker. SAD 61 Superintendent Al Smith says the district is planning to ask voters this fall to approve a bond proposal to reopen Crooked River Elementary School in Casco.